In 1942, there are many worse places to be than Zurich, and detective Bernie Gunther has seen his fair share of them. So when a superior asks him to track down a glamorous German actress believed to be hiding in Zurich, he takes the job. Not that he has much choice: the superior is Goebbels himself. Soon Bernie finds himself involved in something much more sinister. The actress, it emerges, is the daughter of a fanatical Croatian fascist, the sadistic commandant of a notorious concentration camp. And the Swiss police have a cold case that they want Bernie to take a look at: one that seems to have connections to some powerful people back in the Reich. 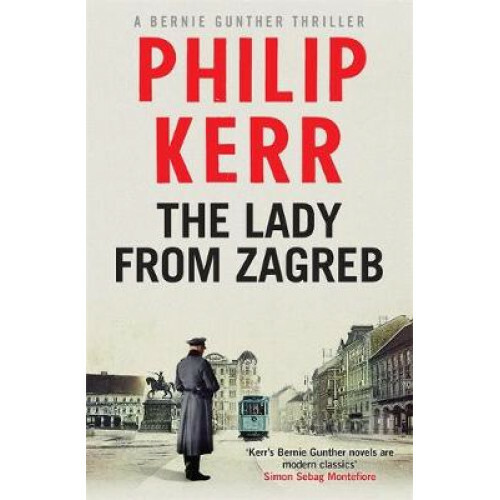 The Lady from Zagreb is another inimitable Bernie Gunther investigation from Philip Kerr: a rich, dark and fast-paced adventure of a nightmarish time and a lonely, indomitable hero.